Add to Cart You cannot currently order this item, as it is on backorder. Please check back soon. 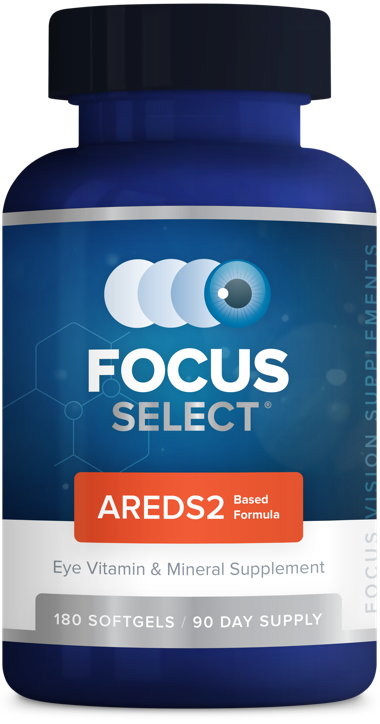 Focus Select® utilizes the latest improvements discovered in AREDS2®, replacing beta-carotene with lutein and zeaxanthin and limiting zinc to the lowest dosage proven effective in the study. Our unique formulation not only provides powerful levels of the nutrients proven to be beneficial in AREDS2®, it is safer for smokers and reduces the risk of side effects associated with higher levels of zinc. Focus Select® is produced in an NSF certified and FDA audited facility. As an extra measure, we conduct and approve a third-party certification of analysis for every active ingredient, on every lot, every time. 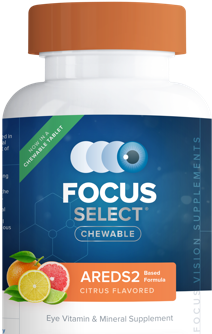 Ask your eye doctor if Focus Select® is the best choice for you. These claims have not been evaluated by the Food and Drug Administration. These products are not intended to diagnose, treat, cure, or prevent any disease. AREDS® and AREDS2® are registered trademarks of the US Department of Health and Human Services, which is not affiliated with Covalent Medical, LLC or this website. The proven standard for macular health formulas. Utilizing the safest level of Zinc proven effective. Safe and effective Zinc levels. Our physicians apply a “first do no harm” dictim when formulating our products by carefully assessing risks versus benefits. Because taking too much zinc is known to cause side effects in some patients such as nausea, stomach discomfort, and urinary tract complications, our developers chose the lowest zinc dose proven effective in the AREDS2 study. Our physician founders recognize that the science around nutrition has outpaced regulation. Because the FDA isn’t authorized to review dietary supplement for safety and effectiveness before they are marketed, physicians are the most trusted professionals for determining a supplement’s safety. We take this responsibility seriously from formula development to manufacturing to the way our supplements are distributed. Discover how our formulas are developed with your safety in mind. As a dietary supplement, take one (1) softgel in the morning and one (1) softgel in the evening with meals. How was the Focus Select® formulation developed? 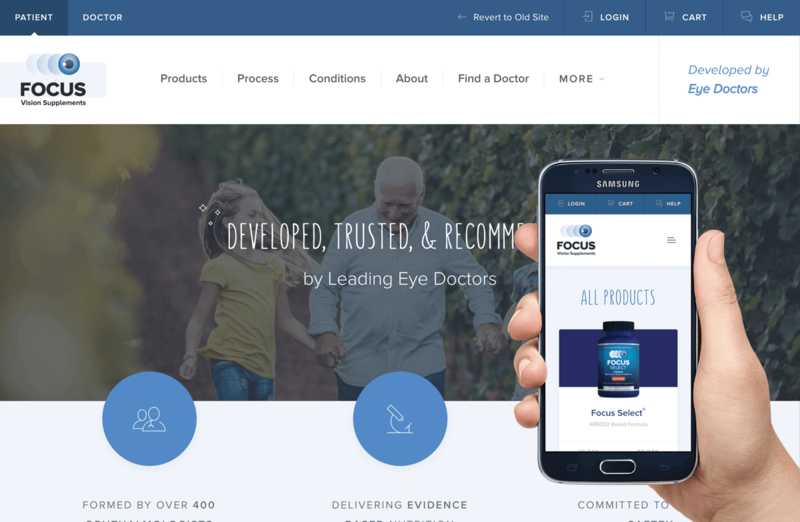 Focus Select is based on peer-reviewed findings and analysis of the Age-Related Eye Disease Studies (AREDS) conducted by the National Eye Institute (NEI), a division of the National Institute of Health. In 1992, the National Eye Institute launched the large-scale AREDS study to investigate the impact of supplementation on patients with AMD. The 2001 findings demonstrated that high doses of antioxidant vitamins and minerals slowed the progression of AMD in people with intermediate AMD and those with Advanced AMD in one eye by an average of 25% over a five-year period. AREDS2 was a follow-up study conducted to in effort to improve upon the original formula. The original AREDS contained beta-carotene, an antioxidant found to be associated with an increased risk of lung cancer in smokers in two large trials funded by the National Cancer Institute. The original formula also contained 80 mg of zinc, a level considered too high by some nutritionists and which is associated with side effects in some patients. Why does the Focus Select® formula contain 25 mg of zinc? 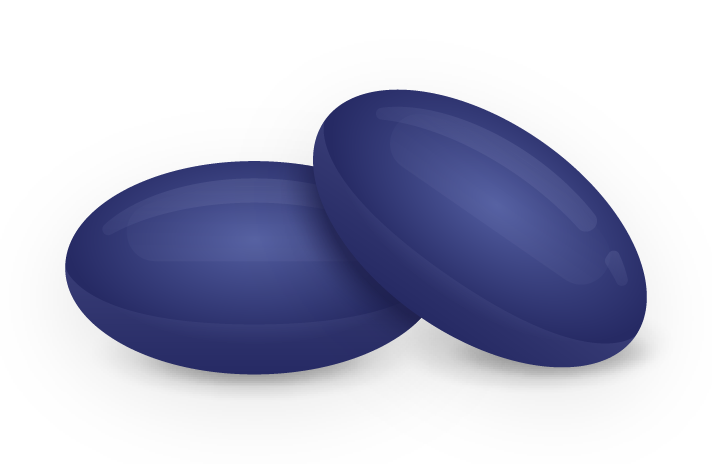 In the second AREDS study NEI investigators discovered that 25 mg of zinc was equally as effective as 80 mg in reducing the progression of AMD. The original study’s 80 mg level of zinc was thought to be too high by some nutritionists. Additionally, consumption of too much zinc is known to have side effects such as nausea, stomach pains, and an increased risk of urinary tract problems such as infections and kidney stones. For this reason, the developers of Focus Select chose the lowest dose of zinc proven effective. Who should take Focus Select®? Focus Select should only be considered by those at risk for developing advanced AMD. Prior to taking the levels of vitamins and minerals found in our formula, patients should speak with their doctor about the risk of developing advanced AMD and whether taking Focus Select is right for them. Will taking Focus Select® cure AMD? No. There are currently no treatments for dry AMD. While the AREDs formulations may slow the progression of dry AMD in people with moderate levels of disease by 25%, no supplement has demonstrated the ability to improve or restore vision. Can patients take a daily multivitamin if they are taking Focus Select®? Yes. Most people in the AREDS studies also took multivitamins. However, you should first consult with your primary care doctor and receive their approval to take a multivitamin in conjunction with Focus Select. Can patients take a daily multivitamin instead of Focus Select®? No. While a multivitamin has a broad spectrum of vitamins and minerals, it does not contain the high levels of specific antioxidants proven to be effective in the AREDS2 study. Should patients consider changing to Focus Select® if they are on an original AREDS formula? Yes. Replacing beta-carotene with lutein/zeaxanthin is safer for smokers and showed a lower risk of progression (18%) of AMD in AREDS subjects compared with those in the AREDS2 trial. Additionally, the 25 mg dose of zinc in lieu of 80 mg may prevent side common side effects associated with zinc. Get free shipping today and every time your subscription renews.